Find Morrison, CO Homes for sale. View Photos, Maps and MLS Data Now! to Stores, Banking, Restaurants. 30 Min to Denver MLS#8149719. COLORADO PREFERRED REAL ESTATE. Basketball court and extra large garages for all your cars and toys. http://www.6050colorow.com MLS#9651703. Your Castle Real Estate Inc.
Trappers Glen - Open house Sat 4/20 from 11am-2pm MLS#9137057. STERLING REAL ESTATE GROUP INC.
Hilldale Pines - Don’t miss this incredible opportunity to own a piece of paradise! MLS#9614706. KELLER WILLIAMS FOOTHILLS REALTY. 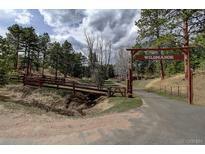 Easy access to mountains, DTC, downtown and close to Chatfield and so much else! MLS#3153063. RE/MAX PROFESSIONALS. Don't miss the attached oversized 2 car garage as well as the additional off street parking area south of the house perfect for campers, etc. MLS#1769904. Kentwood Real Estate Cherry Creek. Homestead - Beautiful Ranch Floor Plan Set Among The Pines*move In Condition*large Kitchen With Breakfast Area*new Matching Stainless Steel Appliances Included*tons Of Natural Light*new Paint*new Carpet*new Deck*updated Fixtures*huge Formal Dining*wet Bar With Butler Pantry*enjoy The Cozy Fireplace*incredible Finished Walk-out Basement*perfect Interior Work Shop And Storage Area*excellent Location On Cul-de-sac Maintained And Snow Plowed By County*two Acre Lot With Fire Mitigation*enjoy Nature With Deer, Elk And Birds*broadband/Dsl Internet*only 12 Minutes From C-470*welcome To Your New Home! MLS#9639823. MB TLC BROKERS. Friendly Hills - 4 bedroom, 3 bathroom home along the FOOTHILLS of Morrison•Updated kitchen with SS appliances•NEW LG French Door Fridge•Pantry• Updated bathrooms•Relaxing Family Room with fireplace•New interior paint•New window blinds•BONUS Basement, have it your way, home office, gym, rec/media room•Laundry Room with washer & dryer, under storage cabinet included•Heated, insulated garage with workbench and service door, pre-wired for 220•AWESOME backyard with covered lighted deck area•Built-in natural gas grill with power outlets and lighting•Natural gas firepit•Large wooden tiered deck•Raised garden beds & wooden planting barrels•custom garden with stone walls and sprinklers•2 sheds on north & south side of home•Stand alone shed 8x16 with power outlets and lights•NEW roof and gutters•Elementary school and parks nearby• Convenient C-470 access to I-70 for mountains, downtown • Just for YOU… Cal Spa HOT TUB…AWESOME! MLS#9486424. Kentwood Real Estate Cherry Creek. Lot is surrounded by government owned green space that will never be developed. MLS#2222121. Keller Williams Integrity Real Estate LLC. North Turkey Creek - Enjoy the peaceful hills, the creek and the wildlife daily! MLS#9168934. TRELORA. Friendly Hills - Listing entered for comparison purposes only. MLS#3684730. Equity Colorado. Located on a wonderful street in a terrific neighborhood, close to Hampden, C-470, Red Rocks the Foothills Bear Creek Park and close to transportation and shopping. MLS#5310555. RE/MAX PROFESSIONALS. Willow Springs - Stone coated steel roof is hail proof! MLS#8781704. ROCKY MOUNTAIN REAL ESTATE INC.
Homestead - The home offers warm pine ceilings, radiant in-floor heat, log touches throughout & paved drive. MLS#1788196. Madison & Company Properties. Willow Springs - * 4 Photos In This Listing Have Been Virtually Staged. MLS#4898383. MB TLC BROKERS. Hilldale Pines - Don’t let the exterior shortcomings deter you from looking at this home as there is likely a solution to any problems! MLS#3365423. HOME TAG TEAM. Friendly Hills - OPEN HOUSE 4/13/19 from 10 AM - 2 pm MLS#2433154. Fathom Realty Colorado LLC. Friendly Hills - •3 bedrooms on the main level•Updated bathrooms•BONUS basement with bedroom,full bath, spacious rec room and storage area• Easy maintenance vinyl siding• Great location on cul de sac•Trail to Trappers Park is at the end of the cul de sac•WELCOMING front deck and RELAXING back deck•Large backyard, great place to cool down on the Summer evenings• Flagstone patio, your spot for grilling!•Extra deep garage with workbench and storage• Easy access to HWY 285 and C470 Sale is contingent upon sellers securing a replacement property. Seller is accepting backup offers. MLS#6869932. Kentwood Real Estate Cherry Creek. Willowbrook - 1288 sf enclosed heated pool not included in square feet, Act now on this gorgeous updated home! MLS#5403655. KENTWOOD REAL ESTATE DTC, LLC. Best of all, you're only 30 min from downtown & minutes from endless outdoor activities in the mountains! MLS#7488022. Your Castle Real Estate Inc.
Harriman Park - PRICED TO SELL, this gem will not last. 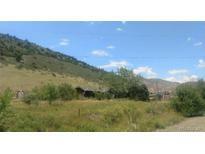 MLS#7077676. eXp Realty, LLC. 2 garages fits 5 cars. www.6057colorow.com MLS#4149340. Your Castle Real Estate Inc. Friendly Hills - *Classically beautiful kitchen with Quartz counters, Cherry shaker style cabinets, newer appliances, spacious island & tons of cabinet space *Gleaming hardwood floors on main level *Custom crown molding *Newer windows with custom trim providing great natural light *Fresh neutral paint throughout *New carpet upstairs & down *Large master bedroom with private sitting nook & walk-in closet *Completely updated master bathroom with custom tile & newer fixtures *Spacious 2nd master with jack-n-jill bath *Updated hall bath with beautiful tile & custom storage *Upstairs loft area with hardwood floors *Cozy family room with gas fireplace *Finished basement with an egress window & great storage *Large laundry room with additional cabinets & counter space *Absolutely gorgeous yard with garden area *Heated shop/studio with full electrical *Large covered deck with recessed lighting & 2 natural gas valves *Absolutely move-in ready! MLS#5100564. Your Castle Real Estate Inc. Friendly Hills - ***This property is eligible for exclusive access to the Zero Plus Loan offered by Keller Mortgage. Save thousands on lender fees! *** MLS#9202495. Keller Williams Realty LLC. Expected delivery late summer/early fall 2019 MLS#4766296. Shorewood Real Estate.